Movement for Modern Life is the UK’s online yoga website with hundreds of classes featuring the best yoga, meditation teachers for days you just can’t make it to class, or for when you’re away, so you never miss a day’s practice! Enjoy Flow teachers Liz Lark, Jean Hall and Alexander Filmer-Lorch from the comfort of your home, alongside many of the other leading lights on yoga. Tropic is an award-winning, 100% natural, cruelty-free, vegan skin care range that we love! You’ll find Tropic hand soap, scented candles and room spray in the studio but their full range includes our favourites, The Super Greens serum and Organic Oil Elixir and plenty more. Yummy Yoga Girl is a new yoga wear brand from the UK. Designed by a yoga teacher and well-being coach Natalie Farrell, exclusively to match every aspect of the modern yogini. Stylish yet practical the materials are chosen specifically for their soft natural properties so to be kind to the skin, this exclusive boutique range allows you the freedom needed to move through your practice and day whilst giving you confidence from within. The devoted yoga box to complement your lifestyle on and off the mat. Beautifully curated products that are organic and natural to support your well being and lifestyle. We are the first and only 100% plant-based Whole Food Kitchen in Tunbridge Wells. Join us for a healthy and wholesome breakfast, brunch or lunch, as well as a cold-pressed juice, a nutritious smoothie or a sweet treat. Everything we make is homemade, fresh, free from refined sugars and of course delicious! Hi, I’m Sally Carmichael, I want to be immensely useful to you, helping you to develop the ability to listen, feel, watch and sense inside and outside your body and mind. I use grounded high-frequency experiences with Kundalini Yoga, Gong Meditation & Self-Embodiment Training to integrate and reconcile your physical apparatus, mental facets and energetic forces. Using self-regulation techniques and the inner energy of the glandular and nervous system we improve our capacity to receive life in all its forms through weekly classes, regular workshops and retreats. I am a British Wheel of Yoga and Yoga Alliance Professionals registered teacher with training diploma of 350 hours. I graduated at Triyoga London under Jean Hall and Mimi Kuo-Deemer and in order to evolve as a teacher I have taken numerous workshops including one-to-one teacher training with Kate Ellis. 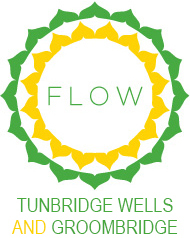 I currently teach a beginners class on Wednesday afternoon and Slow evening flow on Thursday at Flow and have several classes at the Manor Clinic in Sevenoaks and Nizels Health club in Hildenborough. Alicia Sinclair is a fully qualified Yoga Teacher (qualifying from Devon School of Yoga in 2008) and teaches in Sevenoaks, Tunbridge Wells and Chiddingstone teaching mainly adult classes. Over the last few years Alicia started taking an interest in how to reach and teach children and teenagers the importance of Yoga – so qualified in London in 2016 with ‘Calm for Kids’ and has found that teaching teenagers has been particularly special and rewarding over the last year. Teaching at Flow is really special, it is such a nurturing and colourful space that the young students who come seem to love and respond too. I teach Anusara inspired Hatha flow yoga, Yin yoga, mindfulness and meditation. I include yoga philosophy in all my classes, and encourage students on a path of self awareness, compassion and playfulness, whatever that means for them. My name is Annie Gill (Dip NT CNM). I am a registered Nutritional Therapist based in and around Tunbridge Wells. I have always loved food, I would literally dream about it. Then I decided to train as a Nutritionist and quickly learn’t how food can greatly impact a person’s health and well-being. 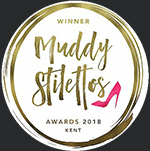 My focus is on creating 1:1 bespoke Nutritional Plans that consider all dietary requirements for the following health conditions: IBS/IBD, Diabetes and weight management, CV Disease, Thyroidism, Skin Complaints, Fertility and Reproductive Issues, Sleep Disturbances, Bone and Joint Health and Stress and Anxiety support. desk two designs is proud to work with Flow to maintain and manage this wonderful website! Working with a range of clients, we offer a complete set of online services including logo design, print work, SEO, content management system integration including WordPress in addition to a fully bespoke website design service. Hello! I’m Sarah and I love to use my big brand experience to help small and growing local businesses with their marketing. I can support you with anything from brand strategy to delivering your social content. I love big thinking and getting my hands dirty too. I’m proud to provide Lucy and Ben with marketing support for Flow.